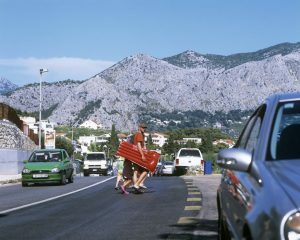 The exhibition Adriatic Highway by Bojan Mrđenović opens today at Pogon and stays open until 19th of September. Highway is the result of years of field research in which Mrđenović uses photography to document the space alongside the Adriatic Highway. The Adriatic Highway is a state road that stretches across the eastern Adriatic coast, connecting all coastal towns. 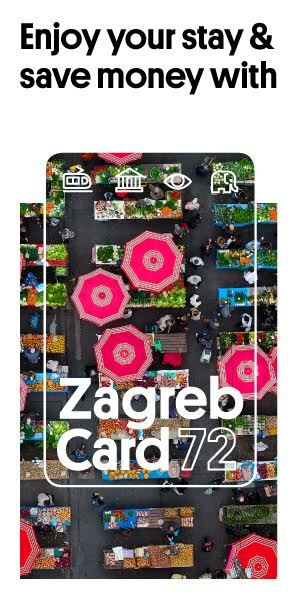 It was open for traffic in 1965 and it represents a capital infrastructure project that has connected the territory and given momentum to the development of tourism on the Adriatic coast. The photographs show manifold transformations of the territory that have occurred due to the intense growth of tourism. At the time the highway was being built, for some people tourism was an additional source of income, while today for many people tourism is the only source of income. As a result of such an economic model, spatial relations in the valuable coastal area are exacerbating from day to day: there are traffic jams, overbuilding without comprehensive urban planning and billing of amenities that had been considered public good until recently, and the devastation of landscape and cultural heritage, that is, all those things on which the success of tourism is actually based. Exhibition production was made possible by the International Photography Festival – Organ Vida, and it is the outcome of the Marina Viculin Award established in 2017 for the purpose of promoting Croatian photography. The production was also made possible by Platform 9.81, Loose Associations (Motel Trogir project), Mavena, and Art Workshop Lazareti. Bojan Mrđenović was born in 1987 in Virovitica and today holds an MA in cinematography from the Academy of Dramatic Art in Zagreb. He is a member of the Croatian Society of Film Workers (HDFD) and the Croatian Freelance Artist Association (HSZU). The entrance to the exhibition is free of charge!